So I finally bit the bullet after years and years of saying “no” … I installed World of WarCraft for the first time a few days ago with some encouragement (a.k.a. friendly threats) from the lovely and amazing Kymba. 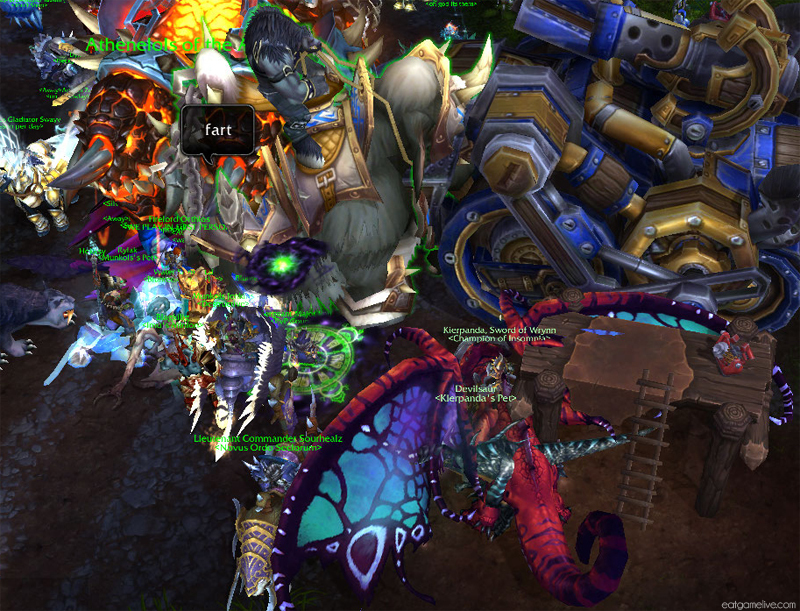 I’m not new to MMOS, but I am TEN YEARS of content behind in WoW. I’ve got a lot of catching up to do! By catching up, I mean I have to go collect ALL OF THE MOUNTS I CAN! This isn’t my first World of Warcraft recipe — I’ve actually made one before with guidance from Sha of Happiness — but this is my first WoW recipe as an official WoW player. Kymba had suggested that I try tackling the Blood of Mannoroth as my first solo Warcraft recipe. 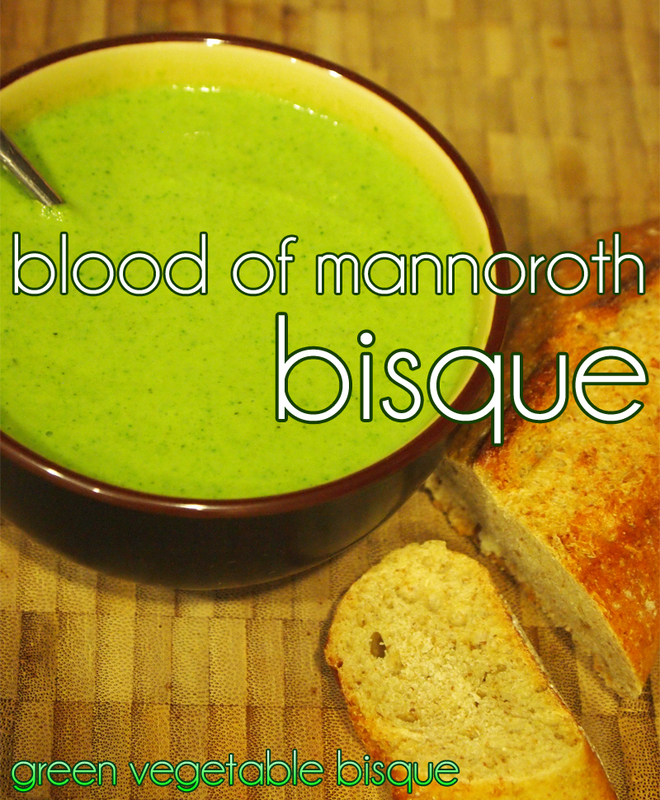 The Blood of Mannoroth is an integral part of the lore of Warcraft, so it seemed fitting to turn it into a recipe! 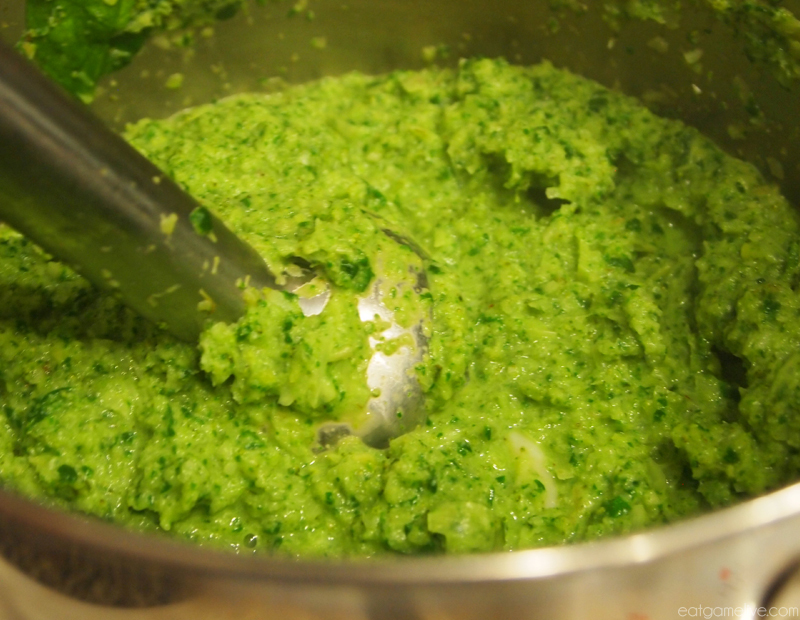 You will be blending all of the ingredients together, so you don’t have to cut them perfectly! Prep time for this recipe will take roughly 45 minutes. Cook time for this will be roughly 1 hour. This recipe makes about 4-6 servings. 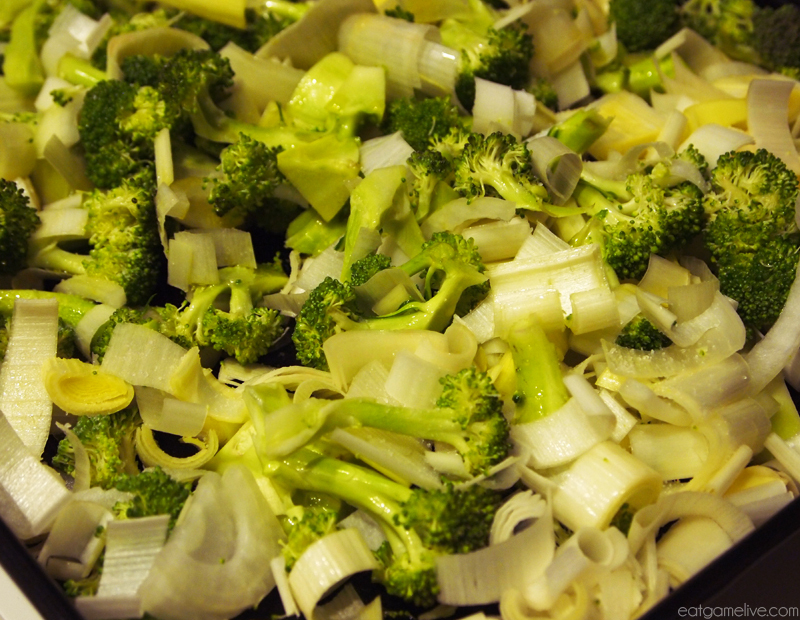 Place your garlic, onion, broccoli, and leeks on a roasting pan. Season your vegetables with salt and pepper. Drizzle the olive oil through the vegetables. Rub the olive oil through the vegetables. Roast for about 45 minutes, stirring the vegetables to prevent burning every 10 minutes. Remove your vegetables from the oven and place them in a pot. Add in half of your almond milk and your spinach. Heat until the spinach has wilted. 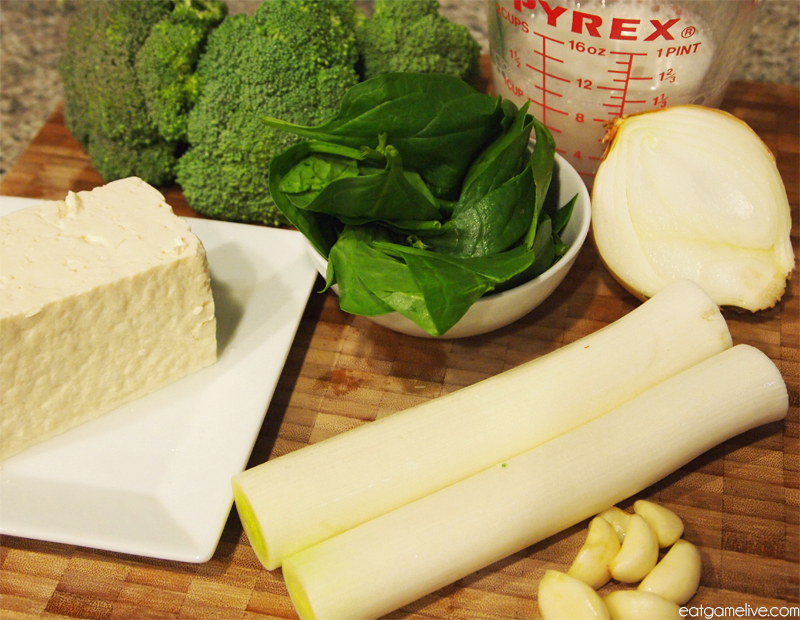 Add in your tofu and remaining almond milk. Continue to blend until smooth. At this point, if the bisque is still too thick, you may need to add in additional almond milk or water. OPTIONAL: If you want to make a smooth bisque, you will need run the bisque through a sieve to separate the solids from the smooth bisque. 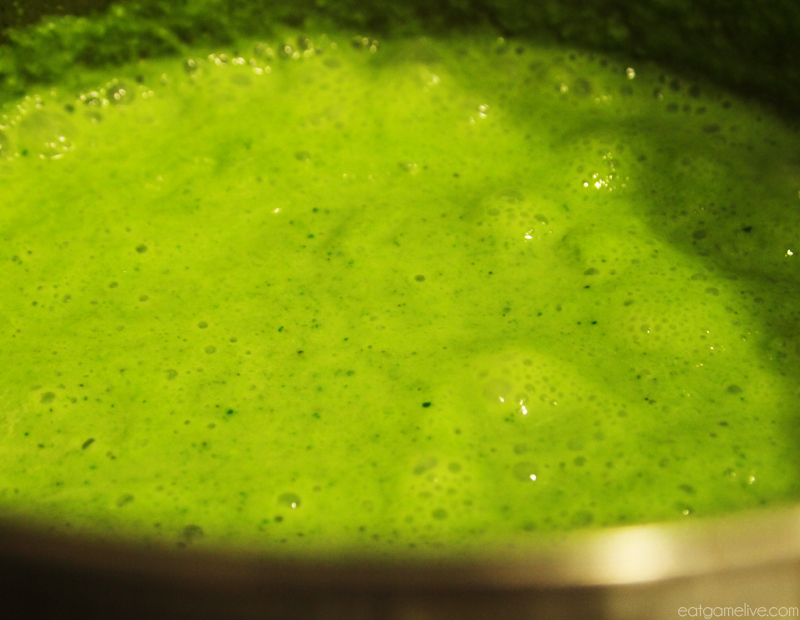 Once you have the additional solids, blend them once more and re-add them to the bisque. Continue this step until smooth. This may take an additional 20+ minutes. Bring the bisque back up to medium heat. And that’s it, you’re done! GG WP! Now, drinking this vegan Blood of Mannoroth may not give you blood lust or cause you to become a minion of the Burning Legion, but it is good for your health! 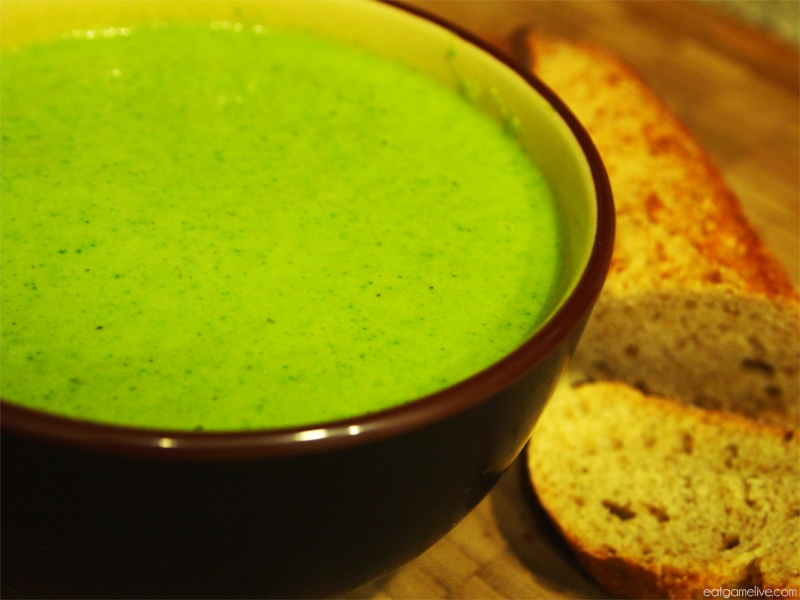 Since it’s full of delicious green vegetables, this creamy bisque is both delicious and nutritious. A great start to your New Year! Hopefully I’ll catch you in Draenor! If not, maybe we’ll clash swords (or in my case, dinosaurs?) in the Arena. 😀 HAPPY HUNTING! This entry was posted in world of warcraft and tagged blizzard, healthy, vegan, vegetarian, warcraft, world of warcraft by admin. Bookmark the permalink. Thank you! I think I’m getting the hang of the game so far haha. And awesome! Please let me know how it goes. I too have avoided this WoW, probably for too long. I know your feel. good luck and have fun in-game!